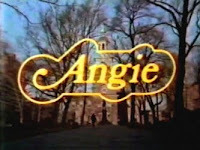 Gen Xtinct: Classic Clip Monday: "Angie"
Who remembers "Angie," with Donna Pescow as a Philadelphia waitress who marries up in her social and monetary class when she weds Robert Hays' doctor? Man, I loved this show. And I just rewatched the opening credits, and really, it had it all. Fun Maureen McGovern-sung theme song, cool non-NY or LA setting, engaging lead characters, stereotypical but fun plot. And some of the cast are still around today-- namely Robert Hays (he was married to Cherie Currie of The Runaways!) and Doris Roberts. 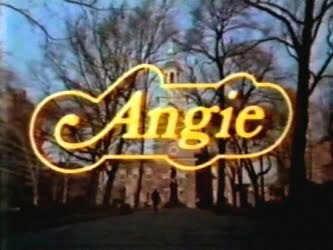 A sad ending came for Debralee Scott, who played Angie's sister. According to Wikipedia, her fiance, a NY Port Authority police officer, died in the 9-11 attacks. She later moved to Amelia Island, Florida (where my brother lives, apropos of nothing) to care for an ill sister. But it was Debralee herself who suddenly collapsed and fell into a coma. She went home briefly, but died soon after, the cause still unknown. Her sister died a year later. Tragedy upon tragedy upon tragedy. And man, did Donna Pescow have the best, most boingy hair in the world, or what? In contrast, her more modern Wikipedia photo does not flatter her very much. But she makes up for it by having played mobster Patsy Parisi's wife on "The Sopranos"! Wow, I didn't know about Debralee Scott. That's just tragic. She was in a ton of late '70s/early '80s sitcoms. Last time I saw Donna Pescow on TV it was as Shia LeBeouf's mother on "Even Stevens" on Disney Channel about 10 years ago. Ha! I remember this show. I think I watched it because I had seen Robert Hayes in Airplane. I don't remember a whole lot, but the hair was incredible. That is sad about about Debralee Scott.